September and October were the months of t-shirts. 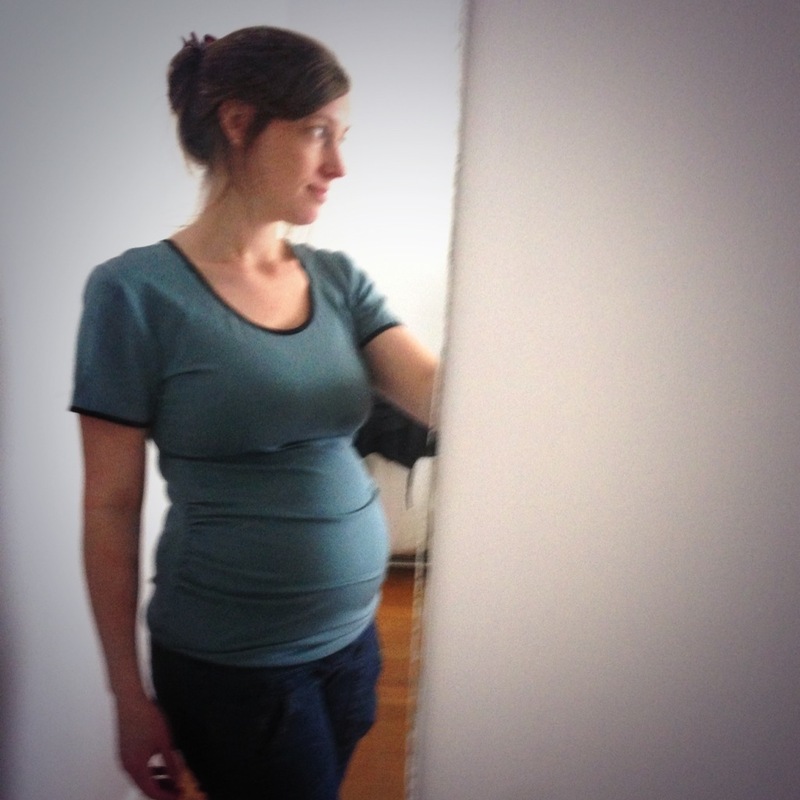 A literal bajillion small person t-shirts have been made with a FOE finish, and I’ve made at least 3 Megan Nielsen maternity t-shirts, and 1 maternity skirt, and 1.5 maternity dresses based on mashing the t-shirt and skirt pattern together. 1.5 as the second is yet to be completed, not that’s it’s a mini dress or anything crazy like that. Another quick project underway is a couple of the Oliver & S skirts, as they’re just perfect for this warm weather and suit the simple FOE t-shirts. They’re also a great reason to buy some cute quilting cotton as they’re tiny enough the drape is fairly irrelevant. There is so much on my radar now my energy is picking up – however the amount of time I’ve got to sew doesn’t really correlate with the enthusiasim for sewing I’ve got at the moment. 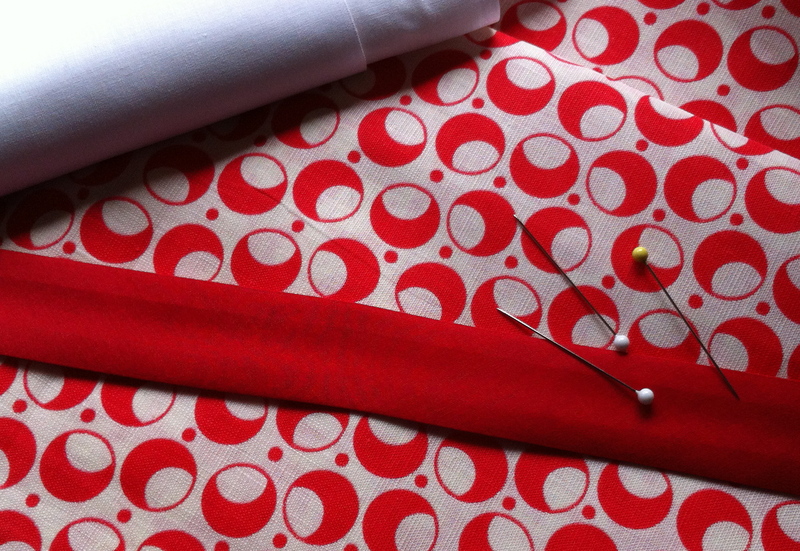 That’s fine, I’m prioritising doing the new sewsquirrel website over sewing right now. At the October Social Sewing event I cut out a whole lot of fabric, as the wider I get the harder it will be to lean over a cutting table. I might have accidentally purchased a significant portion of someone else’s stash on the Gumtree. Whooooooops. Unsurprisingly as the weather is meant to be warming up (not so much in Melbourne so far) the summer dresses are becoming more popular. 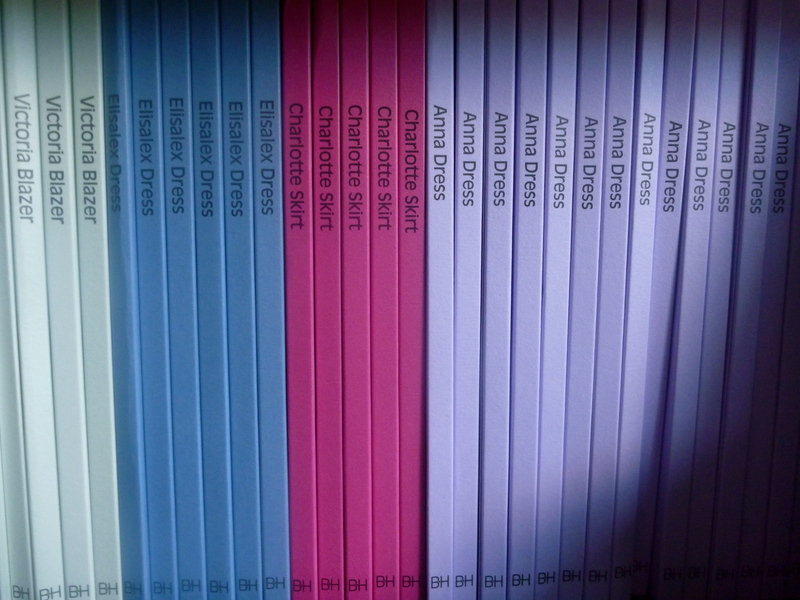 The Anna dress has just arrived back in stock, and much of the Sewaholic range. Both the Anna and the Saltspring sold out with the warmish September weather, but it’s interesting trying to predict sewing pattern demand, as it’s almost impossible. One popular blog post and a particular pattern will disappear off the shelves in a day. Even though it might not have sold for weeks preceding that. One very wet week in Melbourne will have a run on Minoru patterns. Popular sewalongs also influence sales, which is fine if you follow the blog with the sewalong…otherwise it’s just confounding! These are all problems I love to have, because it is really very interesting to me watching and supporting the indie designers as they find their niche with the sewing peeps of the world. By Hand London are definitely the poster girls for that, as they leapt from somewhat obscurity to being hot with the release of Anna. We’ve been working away on a new website, which has been slow progress. The previous platform was simple and suitable for SewSquirrel.com.au when I made that first Sewaholic order, but we’ve grown from 6 products to over 120 now. Making the design choices was pretty straightforward, although there will be a few changes before the new site goes live. The more I look at it, the more I reconsider the best layout/choices that will make the site more user friendly. The biggest priorities of the new design are making it easier for you to find the patterns you’re after, so being able to disect the options. 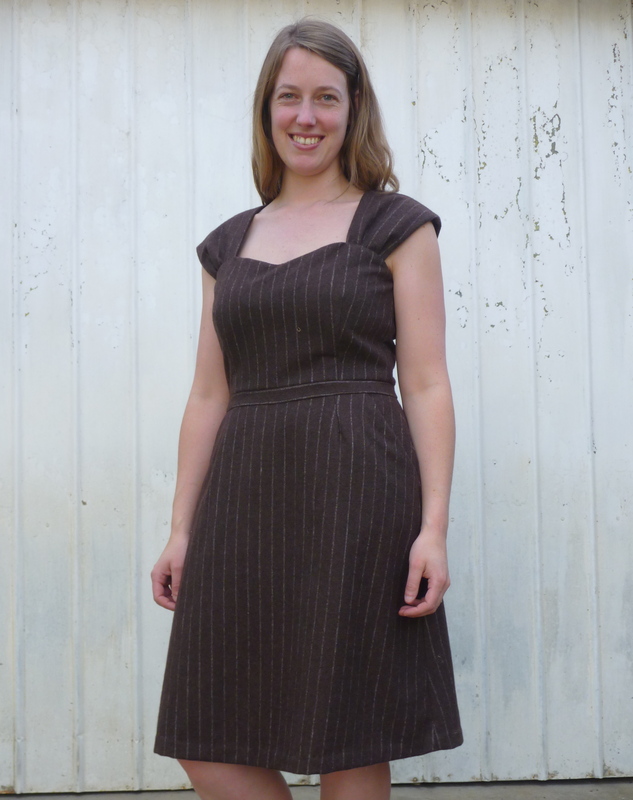 Do you want a dress, or a pattern by a specific designer, or even just a pattern for knits as opposed to wovens. The other big change will be to the back end of the website, to enable such fancy things such as shipping notifications, the ability to easily order gift certificates and even back order certain patterns. The real work is in the data quality to be uploaded to the system. Moving to a minimum of 3 product images is the goal, and it takes time to collate those. Getting the right product description as per the designer. Still in consideration will be getting the notions and essentially the pattern back information up to the website as well. Every designer has that information in a different format, so deciding on the most useful format and then standardising that information is tricky. Even uploading the actual pattern back has it’s downsides, and sometimes that information is only available as a PDF. The overarching theme is that I’m trying to take the time to get each product, and all the design choices right. Ideally the website will be fully operational by Christmas, but if it’s not right then it will take a bit longer. Undoubtably there will be ways to grow and improve after that, but I’d like to tick off my wish list, and then go from there. If you’ve got any suggestions and ideas for improvement, feel free to let me know as there may be things you love or hate about online shopping. More normal posts will be coming back soon, but with the new website stealing all my computer time, the blogging has slipped a little by the wayside. That and I’ll need to schedule some for that crazy time when I’ll be toting around a newbie to the world. I expect that I’ll probably pack up the sewing machine for a couple of months, and might work on some more “couture” techniques at that time. Hand basting is slow and tedious work, so doing ten minutes here and there might be more realistic than completing lots of “quick” projects. Any tips or suggestions on any of the above are more than welcome! Just a quick note today, as the Patterns and Postcards Swap draws to a close, My swap partners and I have sucessfully swapped our patterns, going global and local. I’ve got some gorgeous gems, and now just need to find the fabric (and the time) to sew them up! This one is going to be a perfect summer dress, it’s designed for knits so should be very comfortable. I’m going to make view D, but maybe not with the collar. It seems, well a little large. Don’t get me wrong, I fancy a nice collar but then there is just excessive. One suggested fabric is knitted panne velvet. I’m thinking jersey. This gem was also thrown in the mix, and again I’m thinking a lightweight summer house dress, but I might add in some back darts for a little less ‘tent’ . I’m hoping my legs will look just like this picture in the dress. How gorgeous is this repro? See the girl in the black? I want her dress. Failing that I’m going to have the yellow one in a grey linen for work. It would look gorgeous in the mustard linen that everyone seems to be getting from tessuti. This is possibly my favourite, yet I can’t make it for another, oh 6-7 years. HOW AWESOME IS IT? Wish it was my size. For all those people who come looking here to find a squirrel costume to sew..maybe this is the pattern for you? If you would like to check out the blogs of my very lovely swap partners, here they are. Such kind people, with obviously excellent taste in patterns! Anyone else in love with the new patterns released by Oliver and S? I’m in love with the Field trip cargo pants, and think they will be great stash busters as they have quilting cottons in mind for the pants. 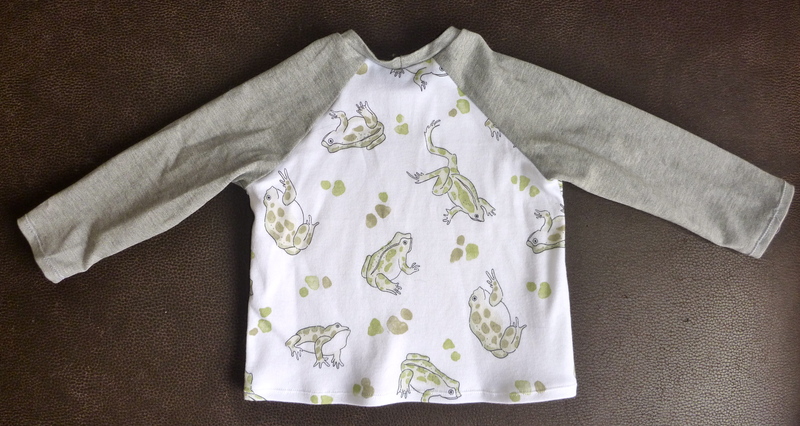 While I didn’t take part in kids clothing week, I did finish up 5 little frog raglan tops. I initially just bought the pattern for the pants, BUT GOSH I LOVE THIS TEE. Seriously, if Oliver and S packaged up the tee in sizes 12m to 8yrs (instead of two size ranges for the top and pants combo) I would pay the $15 for the tee pattern alone. Ages ago I mentioned how there weren’t many ‘everyday’ patterns but this certainly fits this profile. 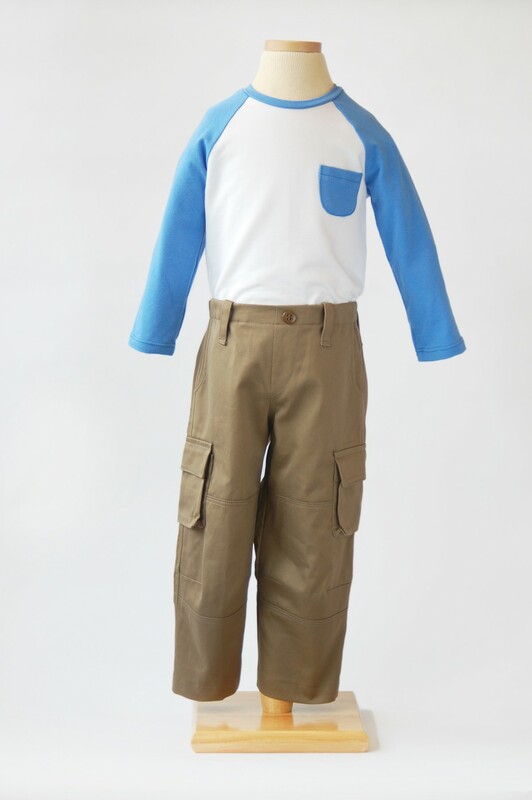 Unisex and simple to sew, these are the best kids pants, also as with the separate knee areas you can reinforce that section of the pants, without the bulk. I’ve omitted the pocket on all the t-shirts, as to be honest it’s a cute detail but a time consuming one. It’s all about the production line around here at the moment. Cutting and sewing 5 at a time is much faster. These are sized 12-18m for our best bud B, and are suitably manly. I bought the pattern with the intention of bulk sewing lots of new clothes for his birthday, and while I’ve been a bit naughty and only made the t-shirt so far I do have 3 pairs of pants cut out ready to sew. Any day now. So B has 4 froggy shirts, and R has the one where I accidentally snipped a notch too deep around the neckline. One day, I’ll get a picture of them all matchy matchy. These two are a week apart, and they most certainly have an arranged marriage. Oliver and S Field trip cargo pants and raglan t-shirt. I love Oliver and S patterns, and they are worth every dollar. The t-shirt is super fast to cut and whip up, and I’ll be making lots of these in the future. As an electronic pattern, it’s great as I’ll just re-print each time I need to cut out a new bigger size as the kids grow. 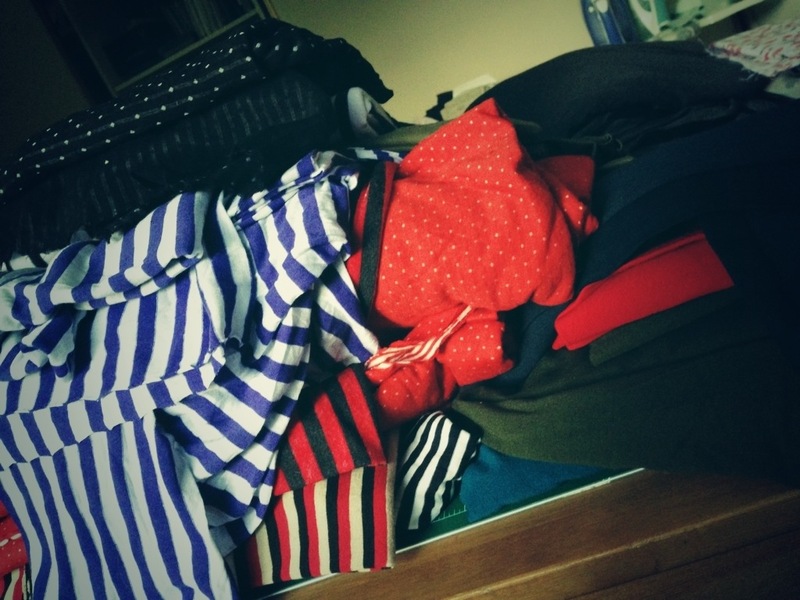 For the time it takes, I can make B and R lots of matching tops probably faster than going and shopping for them (for those sans kids – it can take ages to go anywhere let along achieve anything). I’m tempted to try a raglan tee pattern for me now! The frog knit is from the local op shop, it’s quite good quality as far as I can tell and was $4 for 2 metres. I’ve only used about half of it so far, so I’ll probably whip up another 5 as they will be great shirts for daycare. The sleeves are a japanese knit from Spotlight, at $15 a metre it was disappointing to see the edges curling up after a wash. Still, it was beautiful to sew. These were cut out using a rotary cutter and mat, which makes cutting out knits a breeze. The key is having a new sharp blade, as any snags will pull the fabric out off grain. All the seams were done on the overlockers, which again made it SO FAST. I sewed all 5 up in a after work quick session. The sleeves and waist finish were done with a twin needle on my sewing machine. It’s interesting how daunting these concepts were to me a few short months ago, and now I can’t imagine ever not using it. Twin needles are SO easy. If you aren’t sure people, buy a twin needle off the internet, and just TRY. I might do a complete post about this at a later stage. Right, I have accepted the fact my bag has a large melon and skinny little limbs. Next time on all patterns, I’m cutting at least the next size up for the neckline, and maybe grade down a size for her skinny little arms and belly. Funny shaped baby. I’ll have to see what the fit is like for B, he looks like model size. Any suggestions on how to get better photos of wriggly babies by the way? Finally, the new look 6969 skirt is complete! It’s first showing was at work on Friday, even considering it was a) cold, and b) FREEZING. Waiting for a warm melbourne Friday could take a year. It’s pretty comfortably to wear, but perhaps not the most flattering cut. It’s taken quite a long time to put together as it was done in micro stages, whenever I could sneak off to sew for a few minutes. In my excitement to wear it to work Friday, the closure on the waistband might have been a safety pin. Overall, it’s not a pattern I love. I bought it as it was quite *fashionable* at the time. Aside from New Look trying to make me look like an old lady with a long long skirt, I liked the fit. The darts sit nicely at the back, and the pleated front sits comfortably. 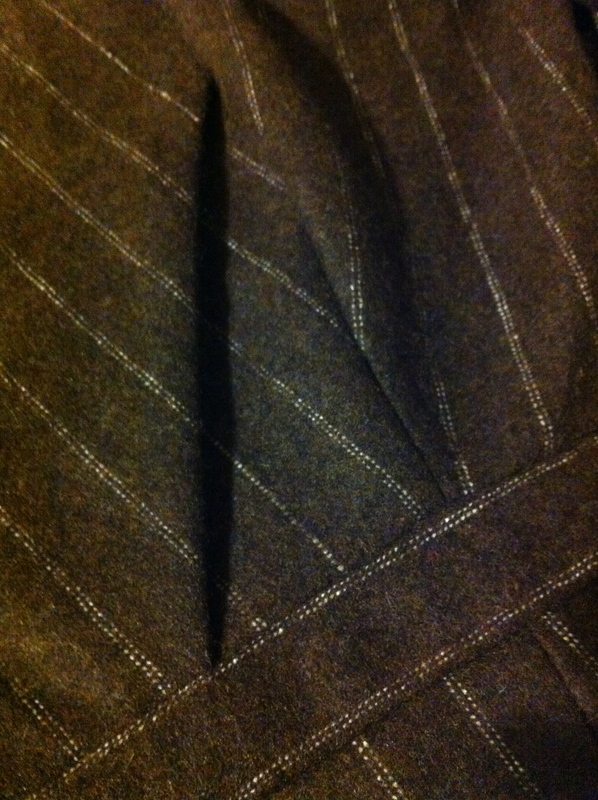 I think I sliced about 3″ off the hem, and then had 2″ folded under. For the main fabric I used some gifted fabric from my grandmother, it’s a woven synthetic fibre with no stretch. Very easy to sew, but also a little transparent in the light, so I lined it with white cotton also gifted. 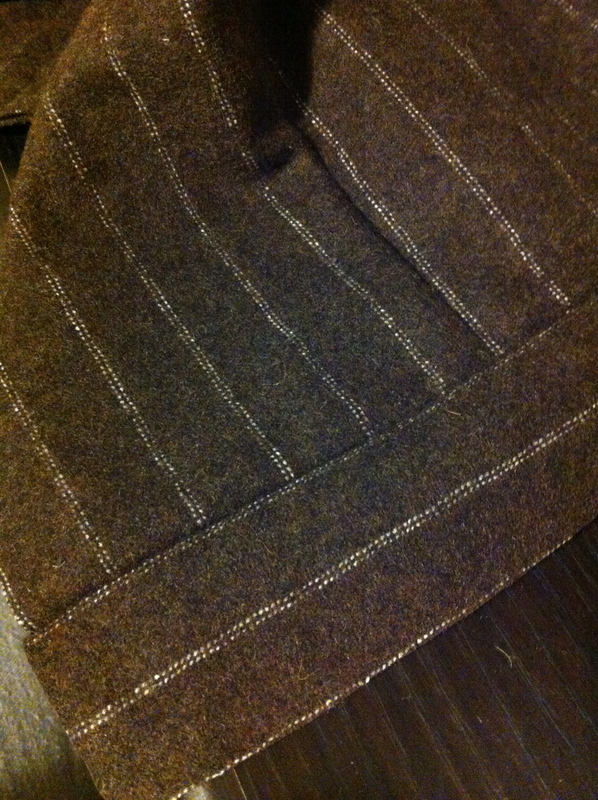 The lining doesn’t have as much drape as the main fabric, but it gives it a bit of body without sitting too stiffly. I also used some sew in interfacing for the waistband. I made a few tiny variations, I added a lining to the pattern and so the back I sewed the lining and main fabric darts together, then let the lining hang free, and did the same for the pleats at the front. 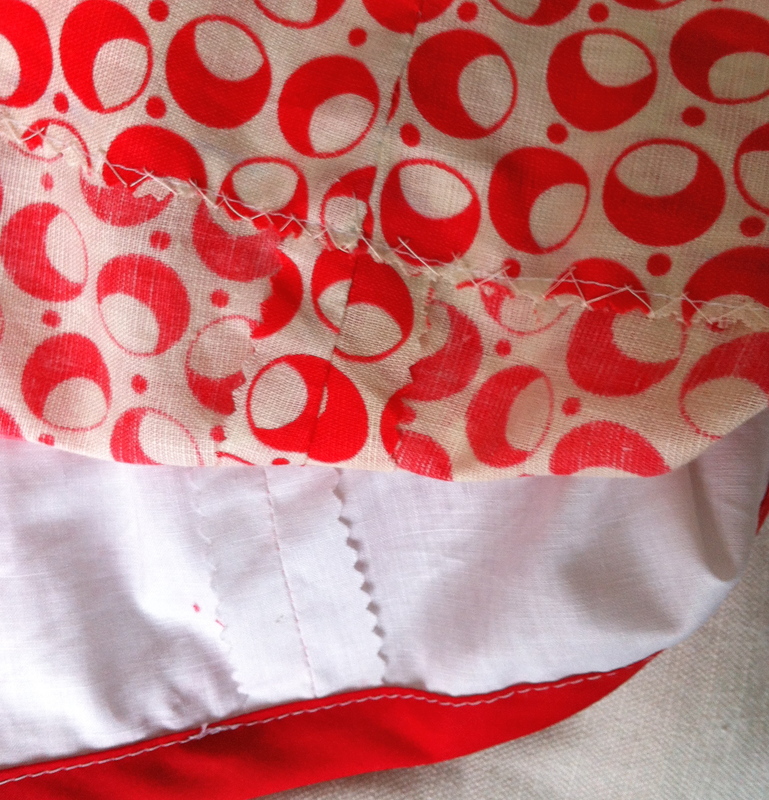 The lining is bias bound on the hem in red, for a little bit of interesting detail if I accidentally show some leg, and what I like the most is the hand hemmed main fabric. I tried a different technique to usual and it was remarkably fast. All the seams are pinked neatly, and the side zipper is…I honestly can’t remember. It’s inserted either way, but Not Very Well. It’s sewn in a little short from the waistband so the zipper pull is about a cm from the waistband. 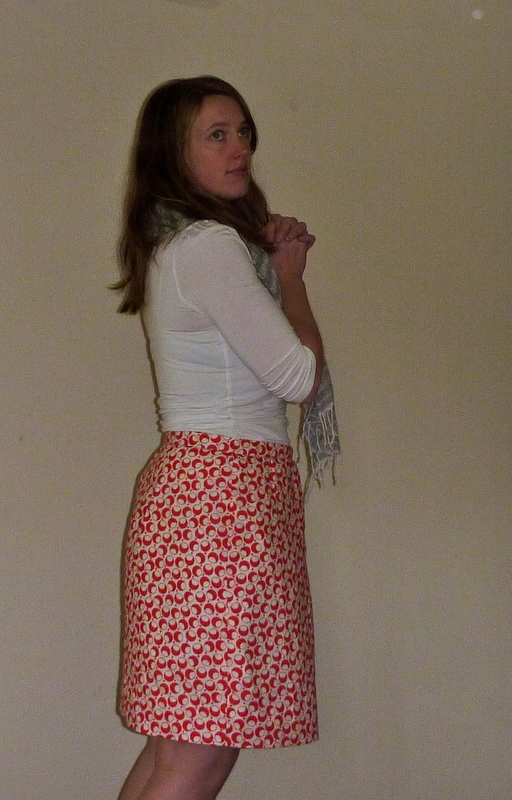 Next time I make this skirt (if I do…I like it but it’s not top of the pops for me) I will shorten the hem on the pattern before cutting it, there were huge strips of fabric that were wasted. It’s time to realise I’m not 6 foot tall, so this is going to be the start of the pattern adjustments I know need to be made immediately before tweaking the fit. 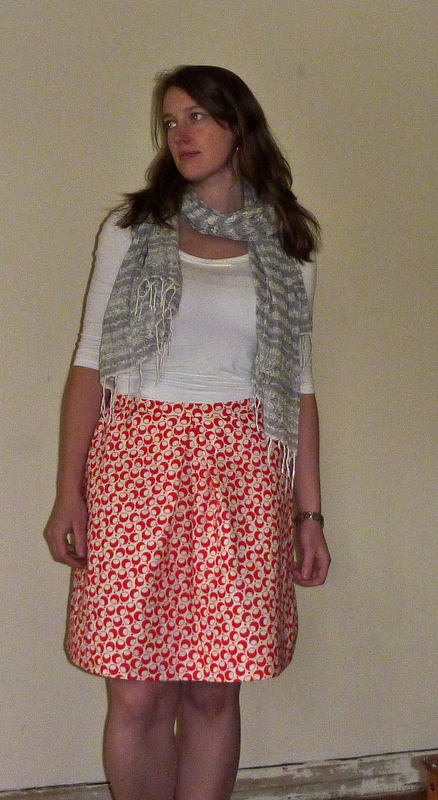 Any recommendations for a favourite summer skirt? I’m going to try Megan Nielsens Kelly skirt before summer. I’ve bookmarked some of my favourite versions shown on Sew Busy Lizzy, True Bias and Four Square Walls. 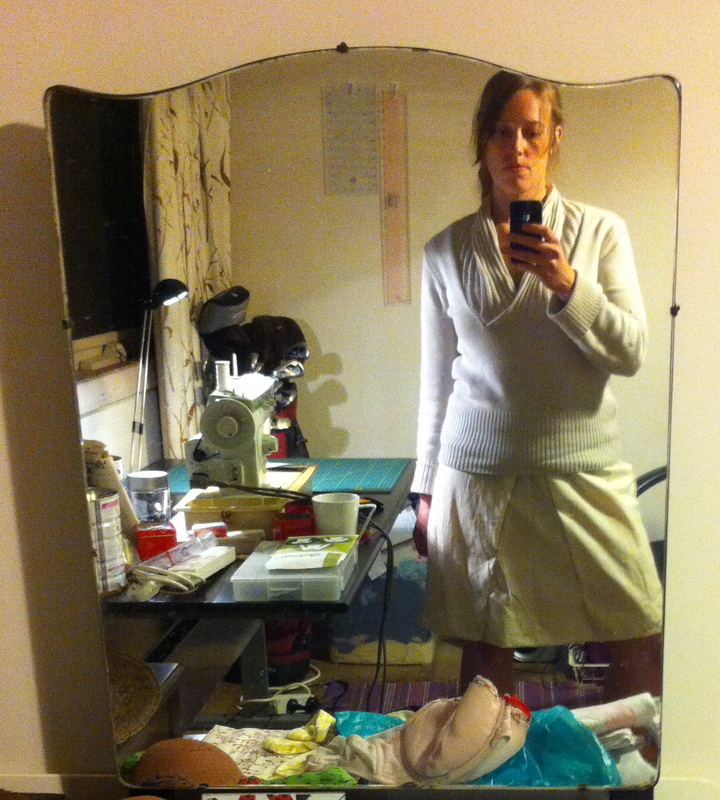 In addition to my recent Renfrew-itis, the beginner sewing plan is still on track. Part of the track was a simple skirt, and New look 6969 was our lucky contender. The red circle skirt was part of a very kind gift of a GIANT box of fabric from my grandmother. This box had some seriously gorgeous fabric in it, and was the BEST KIND OF SURPRISE for a sewer. The usual sewing surprise I get is my needle snapping and it not hitting me in the eye. Unusually, I made a muslin. I recently signed up for Susan Khalje’s the Couture Dress class with Craftsy, and have been trying to do more muslins. Tragically I haven’t been able to source dressmakers carbon paper in Australia larger than A4. And that is a PAIN. I might try and import some, would anyone be interested in buying it? Who knows. If not I can be greedy and use it all myself. Based on my muslin, the fit is pretty good straight out of the packet. The only thing I altered was the length, for some reason New Look pattern Co are trying to make me look 80. Or I have short legs. It’s difficult to say. The biggest thing I learnt from this muslin? 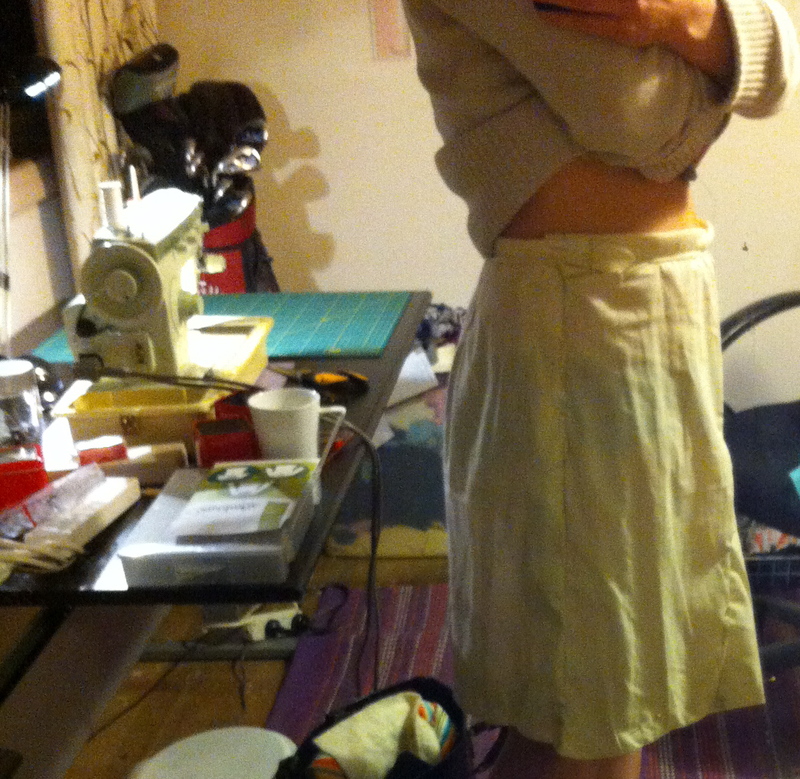 I should probably line the skirt, and possibly tack the front pleats to the lining. Not down flat, but at the inside crease. I’m going to wear it with the lining for a day and see how it falls, if the pleats don’t sit properly drastic action will be taken, even at the cost of walking with a long stride. It’s a simple pattern, but I am determined the finish will be RTW, and if not RTW then I will claim couture. Fair?